Having an incubation period after participants put their minds to work was key to their success, the researchers said. PG suggests that humans and AI are likely to have a prickly relationship for quite a long time. PG wonders how the author of the OP would regard creative genius as manifested in humans with severe mental illnesses or addictions to drugs or alcohol. Vincent Van Gogh spent time in a psychiatric clinic. 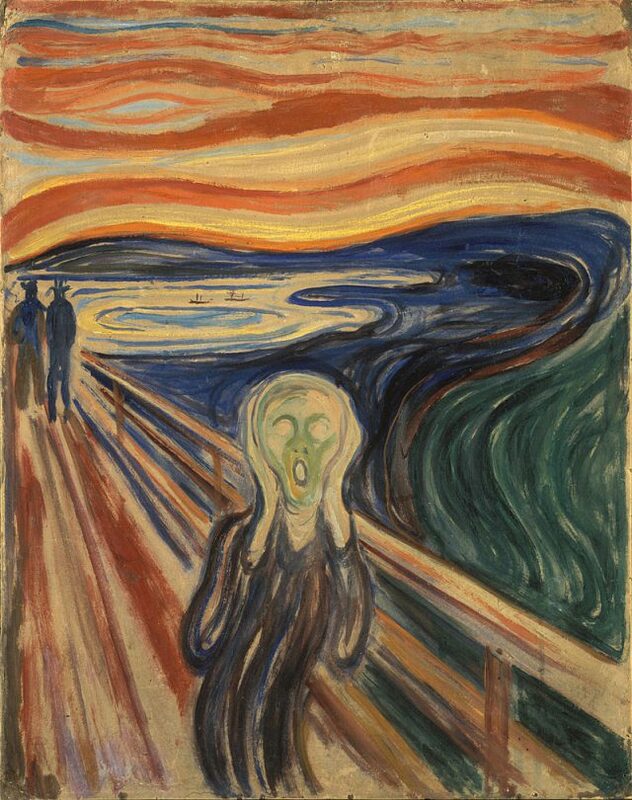 Edvard Munch wrote, “I can not get rid of my illnesses, for there is a lot in my art that exists only because of them.” His best-known painting, The Scream, can certainly be interpreted as an expression of someone in the throes of mental illness. Quite a number of well-known writers have died from the effects of their chronic alcoholic consumption. F. Scott Fitzgerald, Jack Kerouac, Raymond Chandler, Dylan Thomas, Grace Metalious, Dorothy Parker, and Carson McCullers come to mind. Is a severely-impaired human being more truly creative than an unimpaired artificial intelligence? The sophistication of artificial intelligence (AI) software is giving rise to a healthy debate about human creativity v machine creativity. Whilst there is general agreement that AI will eventually take over many task orientated jobs, there is skepticism over whether occupations that require high creative intelligence will become automated. One of the main benefits of AI is saving time on mundane tasks. Working with a machine can ease the workload for creatives and allow them more time for strategic and creative thinking. But it’s more than just a time saver. From providing data insight to enable marketers to better understand their consumers to ideating and iterating basic ideas to aid the creative process, AI can provide valuable support. Recently, The & Partnership London turned to tech company Visual Voice to build an AI platform that could write the next Lexus ad script, with visual recognition support from IBM Watson. The first step was to feed the machine the right information. The AI was trained with Cannes Lions-winning car and luxury advertising – 15 years worth – to find trends associated with acclaimed advertising and it was taught to be intuitive. This was done through drawing on emotional intelligence data and via a study conducted in partnership with applied scientists which explored intuition. Google’s AI boutique DeepMind is developing an AI with imagination. It’s this distinctly human ability to construct a plan, to see the consequences of actions before they are made, that could really shake things up. Eliot Wyatt likes to say that his personality and his work are quite similar: “a bit weird, fun, and loud.” An illustrator based in Bristol, England, Wyatt creates colorful—and sometimes a little trippy—work that has enlivened high-profile campaigns for clients like Airbnb, Buzzfeed, and Nescafé. Wyatt’s subjects range from politics and social issues to celebrities, delicious-looking foods, fantasy automobiles, and really cool sneakers. A candy-colored palette and a flat, nearly two-dimensional look make for a very distinctive body of work. Link to the rest at Adobe Create Magazine, which includes several examples of the Wyatt’s art. PG is familiar with writing exercises but wondered if authors engage in other practices that help jumpstart or expand their creative efforts. For example, is a character sketch the equivalent of a visual artist sketching out an idea? To the best of PG’s recollections, visual arts and writing are centered in different parts of the human brain, but he could be wrong. CTB sued HS for making an allegedly exact replica of CTB’s poultry feeder, infringing its registered trademarks for product configuration and color (color on the supplemental register). Pan feeders are the industry standard. 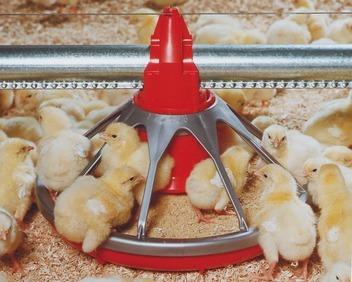 The usual configuration: a pan (bottom portion in which feed collects), grill (top portion, usually made up of spokes of varying number, size, and shape), and center cone (feed distribution mechanism). Feeders are sold to roughly forty “integrators,” who own the chickens and dictate which feeders individual growers may use. Also of relevance, CTB also had a patent for a poultry feeder, which expired in 2010. The patent said it was aimed at providing a “barrier for preventing birds and animals from bodily climbing into the feeder yet simultaneously allowing those that do force their way inside to easily exit without sustaining injury or damaging the feeder apparatus.” (It discloses a locking brood gate and a mechanism for rotationally unlocking and locking the pan structure and grill structure together. The mark consists of a three-dimensional configuration of a unique mechanized poultry feeder which includes a pan structure and a grill structure. When viewed from any side, the perimeter of the feeder has a generally octagonal shape as it has two generally vertical sides, one defined at the bottom of the pan structure and the other defined at the top of the grill structure, and four generally diagonal sides which inter connect the vertical sides to the horizontal sides. Internal angles between the diagonal sides and the vertical sides are generally smaller than the internal angles between the diagonal sides and the horizontal sides. The matter shown in broken lines is not part of the mark and serves only to show the position or placement of the mark. CTB also sought to register the configuration and the color combination of red pan and gray grill, which was rejected on functionality grounds. Then it sought to register only the color combination, which application was rejected multiple times for lack of inherent distinctiveness and ended up on the supplemental register. 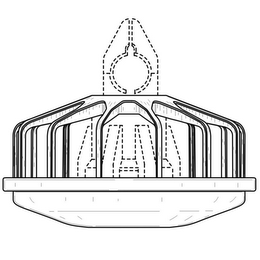 The patent stated that the area created by the grill and its individual spokes and hub allowed for the functionality of birds entering and exiting the feeder without injury. CTB’s ads also touted a “patented feeder grill design [that allows] young birds to exit pans easily” and so on, providing further evidence of functionality. The parties agreed that the pan underneath the grill was shaped functionally. This dicated the V-shaped profile of the pan claimed as part of the trade dress. CTB argued that the section connecting the upper grill structure to the lower pan member wasn’t functional: the “two vertical walls, partly formed from the pan structure.” However, the “double-pan lip,” as touted in CTB ads, functioned to save feed. Color: The parties’ products consisted of a red pan and a grill that is silver with metal flakes or shiny gray. Here’s a great legal sentence: “[I]t is undisputed that chickens are attracted to shiny objects.” CTB argued that metal flakes weren’t relevant because it was claiming only the color gray. But the use of metal flakes in a gray color scheme could be functional. Plus, the parties both used shiny gray, so CTB’s argument meant that it wouldn’t be using an embodiment its own trade dress, which the court thus concluded was red and shiny gray. There was no presumption of validity here, and CTB’s own patent and ads touted the advantages of using red and shiny gray. 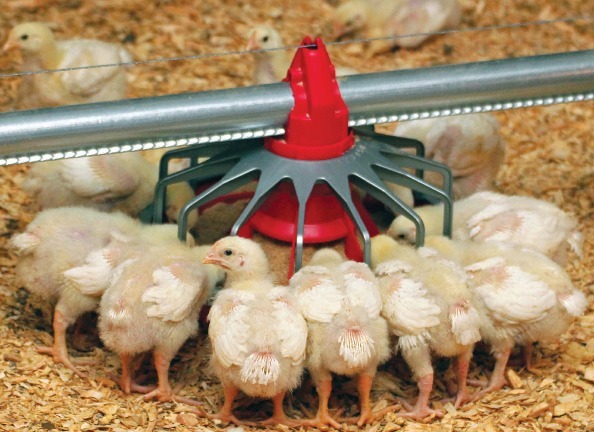 Other CTB patents, and other industry patents, also identified red as functional for attracting poultry. [If functional for poultry, why not for people?] CTB’s witness Cole also testified that he conducted tests and found that red and shiny gray was close to the best. CTB argued that there was no scientific evidence to support the conclusion that chickens are more attracted to these colors versus other colors. CTB misperceived on whom the burden lay, and didn’t show that the colors were “ornamental, incidental, or arbitrary” or were chosen for any reason other than functionality. Dismissing its own position in its patent as “apocryphal lore” couldn’t avoid summary judgment. [T]he court went on to deal with remaining unfair competition claims as a matter of failure to show damages/proximate cause instead of pointing out that functionality ended anything but, perhaps, a claim for insufficient labeling. There was no evidence of any harm, just a theory of price erosion. In the lower photo, the chicks are beginning to fledge – grow their adult feathers. Thus, they’re fledglings. And yet Kasparov, after having lost to what he later called ‘a $10 million alarm clock’, continued to play against machines, and to reflect on the consequences of computation for the game of kings. And not just against them: for the past two decades, Kasparov has been exploring an idea he calls ‘Advanced Chess’, where humans collaborate with computer chess programs against other hybrid teams, sometimes called ‘Centaurs’. The humans maintain strategic control of the game while automating the memorisation and basic calculation on which great chess depends.